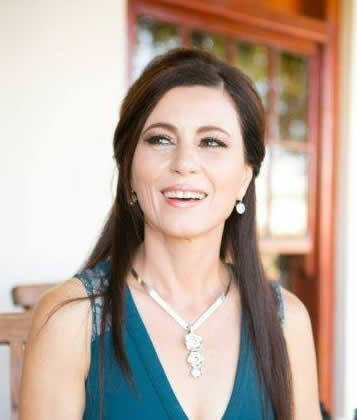 Karin Mostert is from Koringberg in the Swartland wine district. 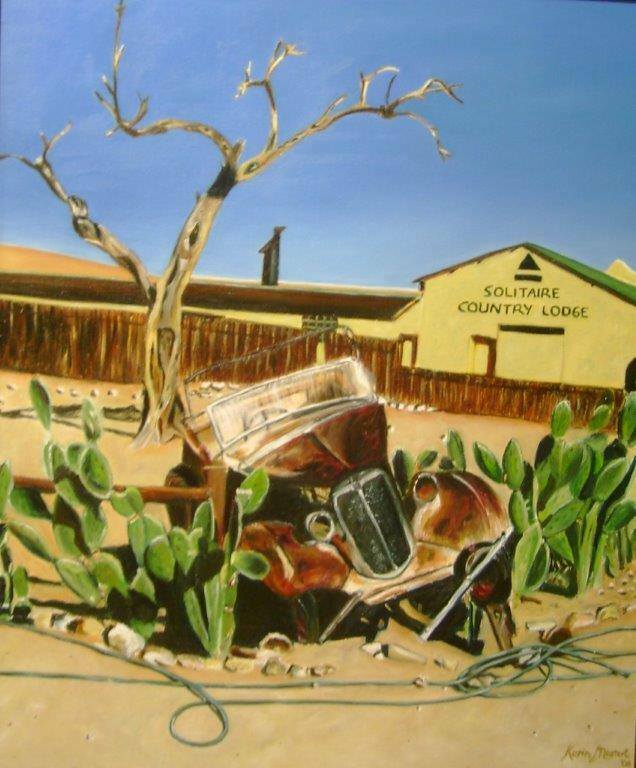 I was born in Caledon in 1965 and spend most my childhood in a small town called Philadelphia in the Western Cape and had the great priviledge of having renowned artist Pieter van der Westhuizen as our neighbour. The small seed of loving art was planted. I studied for a Medical Technologist and specialised in Sitology at Tygerberg hospital in 1985. I married a farmer and Wine maker from Koringberg that falls under the Swartland wine district. 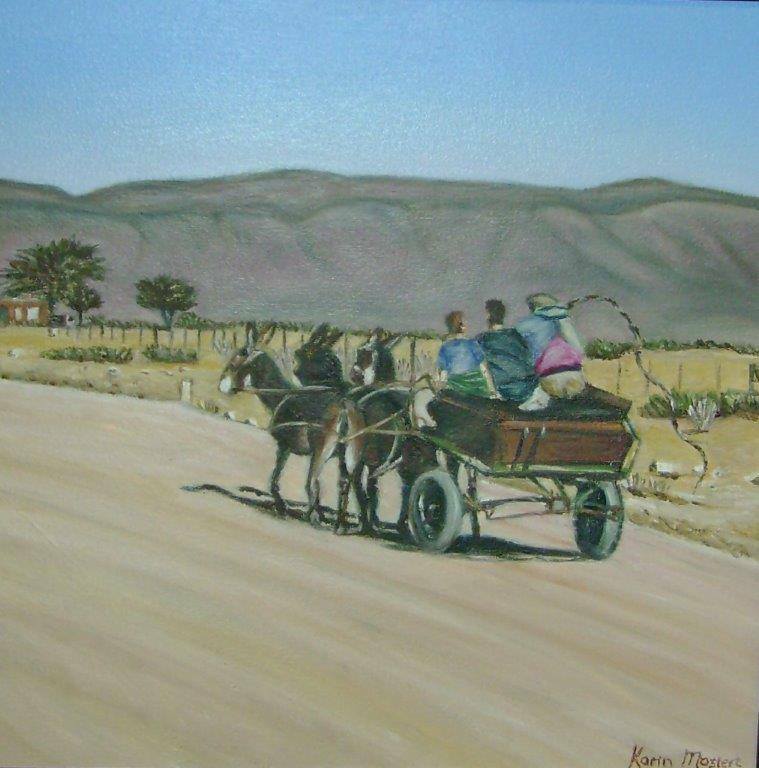 After my 3 children left the house I received my Art education from Karin Coetzee born and raised in Namibie. 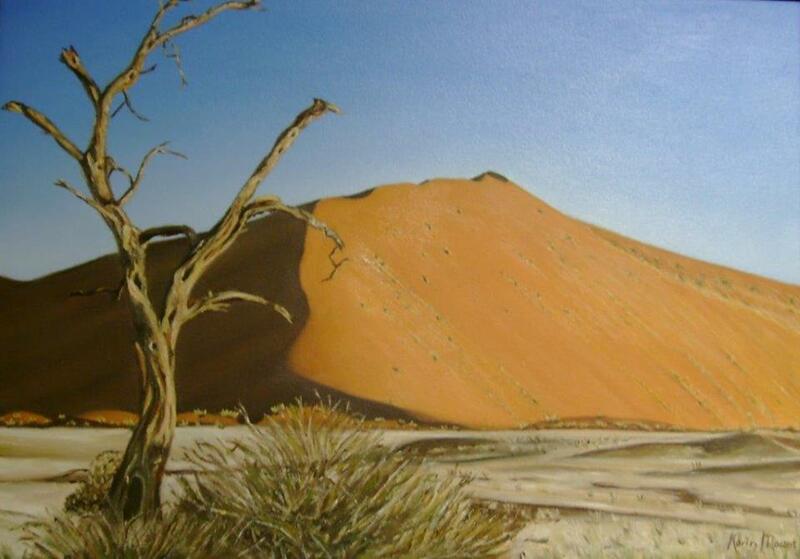 My preferred medium is oil on canvas and I have a passion for the scenic landscape of Namibie that will always be an inspiration on my travels to the beautiful country. I also do figurative work.